Thinning hair and hair loss is common in both men and women. There are a variety of causes for hair loss such as; hormonal changes, genetics, chemical hair processing and poor nutrition. 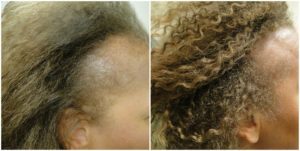 Patients are always inquiring about effective treatments for thinning hair. 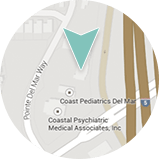 That is why we are excited to introduce PRP (Platelet Rich Plasma) Hair Restoration to the menu of aesthetic treatments available at Dermatology & Laser of Del Mar. PRP Hair Restoration involves a series of small injections of platelet rich plasma into the areas of thinning in your scalp and anterior hairline. Once injected, the platelets contained in the PRP are activated and stimulate growth factors that increase blood flow to the hair follicle. This results in new growth in those diminished, inactive or implanted hair follicles. Patients that have tried this have been thrilled with their results. PRP Hair Restoration is safe and effective. The platelet rich plasma comes from your own body. We draw a small amount of blood in office and prepare it by placing it in a centrifuge to yield that platelet rich serum. 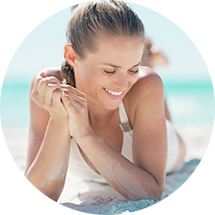 To enhance and maintain results, we recommend patients combine a daily dose of Nutrafol hair supplements with their treatment plan. If you are suffering with thinning hair, PRP Hair Restoration may be the answer you have been looking for. Contact us to schedule a consultation.